The government petition for the viral 'PC Bang Murder' case has received over a million signatures. On October 17, a petition demanding strict punishment for suspect Kim Sung Soo was created on The Blue House website. 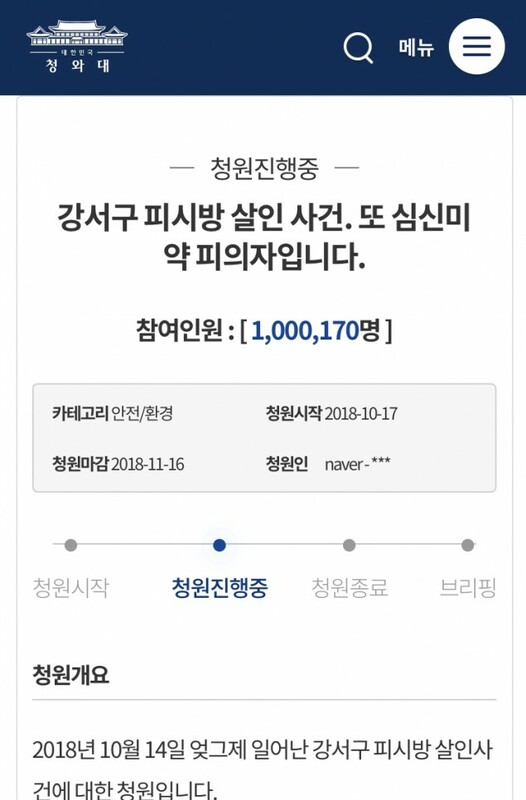 In less than a week, the petition gained over 1 million signatures from Korean citizens. This is the highest amount of signatures a government petition has ever received. 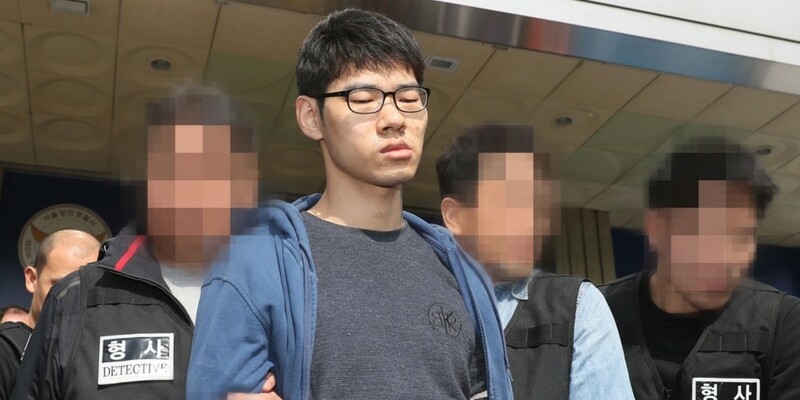 Kim Sung Soo is accused of violently stabbing a 21-year-old PC bang part-time worker to death. To the police, Kim Sung Soo explained he committed the crime simply because the PC bang worker was rude to him after he requested the worker to clean up a dirty table. His unreasonable explanation angered citizens who pitied the loss of a young life. The anger fired up even more when Kim Sung Soo submitted medical reports to the police to show his diagnosis with depression. Korean citizens are voicing up, stating a mental illness should no longer exempt suspects from the punishment they deserve. Meanwhile, Kim Sung Soo will be going through mental exam for a month as the investigation continues. "Korean citizens are voicing up, stating a mental illness should no longer exempt suspects from the punishment they deserve." I feel like certain mental illnesses shouldn't result in lesser sentences, but others should definitely result in modified sentencing (maybe a shorter period, definitely in a psychiatric facility where they may get help. This particular case... you killed someone because you were depressed? Nah. Sometimes depressed parents kill their children before they kill themselves because, as misguided and fucked up as the reasoning is, they think that the children wouldn't be able to live without them or whatever else. But just killing some random, innocent person and then going on about your life? Really, nah. I'm sorry but regular depression and PDD should NOT ever exempt a murderer from getting fully punished. bilopar and psychotic depression - pooooossibly, because your brain is acting crazy at times, but unless this dude has a major chemical imbalance with hallucinations, he can go f himself. in jail. with a life sentence.